The Winter 2018 newsletter features a review of Ever Wild by Darryl Lloyd. 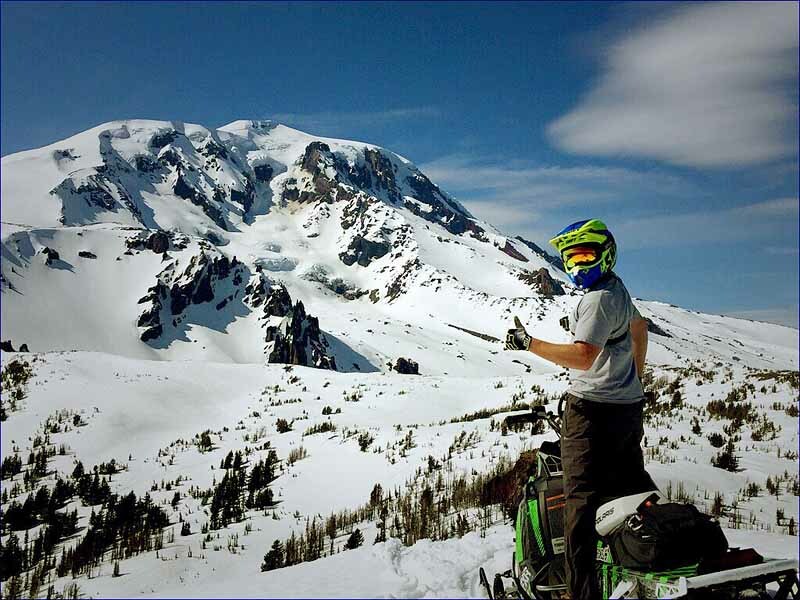 He writes about the human uses of the Mount Adams, its native plants, and the science of this stratovolcano. Interwoven throughout are personal stories. They are reflections of a life spent on and near the mountain that continually drew him in, always beckoning him to explore further. The Yakama Nation has closed their Mt. Adams Recreation Area to the public for the entire summer season because they are reconstructing their road and will have no other personnel in the area. 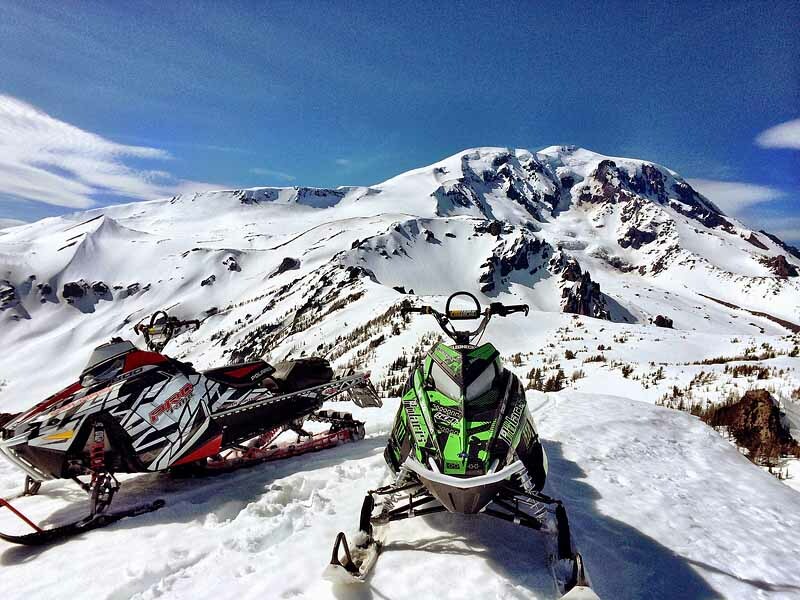 Snowmobiling is prohibited within all Yakama Nation lands, including the YN Mount Adams Recreation Area. The Yakama Nation manages its lands consistent with its Natural Resources Policy Plan and Forest Management Plan to protect its natural resources, especially the habitat of sensitive species such as mountain goats, white-tailed ptarmigan, red fox, and the extremely rare wolverine. 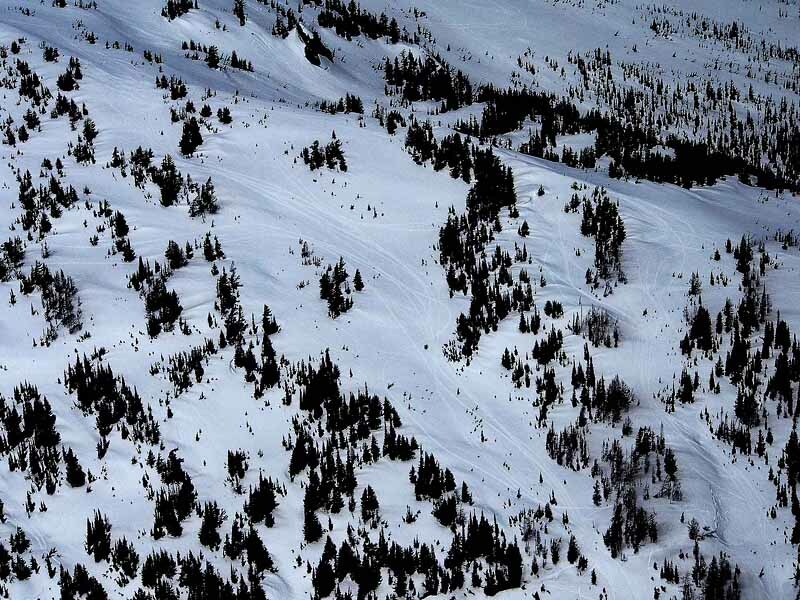 Snowmobiles are especially harmful, because they can leak gas and oil into the snowpack (including snow/ice-covered lakes), damage young trees and shrubs, cause erosion and ruts, and spread broken parts across the landscape. 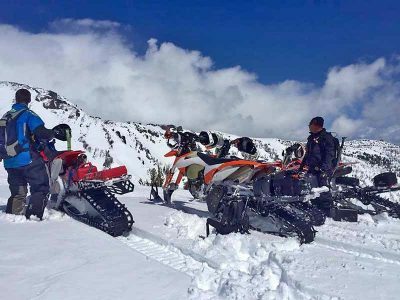 Snowmobiling on the tribe’s sacred “Pahto” violates Yakama Nation laws and shows disrespect to the members’ religious and cultural beliefs. Video showing illegal snowmobiling on Hellroaring ridge with Adams and Hellroaring valley in the background is from 2014. https://www.youtube.com/watch?v=4Om20X4OYJA. Click/tap photos to view larger image. 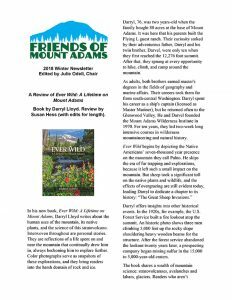 Friends of Mount Adams (FOMA) is an all-volunteer, 501(c)(3) nonprofit organization, originally founded in the 1970’s as “Friends of Pah-to”. We focus on the enormous, 230-square-mile mountain located in south-central Washington state, which lies mostly on Gifford Pinchot National Forest and Yakama Nation lands. 2017: We are having another banner year! Our huge THANKS to: Brad Johnson, Ron Cohen & Christie Smith, Lloyd & Anne Kaufman, Tina Castanares, Kathleen & Barry Jones, Ann Littlewood, John Ligon, Daniel Anderson and Joy Strand, Keith Gunnar, Lloyd & Anne Kaufman, Brad Johnson, Ron Cohen & Christie Smith, Pamela Parker, Janice Morgan, Rachel Haymon and Ken Macdonald, and David Berger. 2016: Kathleen Keller-Jones and Barry Jones, Daniel Anderson and Joy Strand, F. Nolan and Debra Jones, Keith Gunnar, Michael Mills, Leslie Labbe, Tina Castanares (first sustaining donor! ), Becki and Pat Rawson, Kelly and Marilyn Enochs (Kelly’s B&B), Tom & Sandi Rousseau, and Mary Ellen Kris, Charles Moore, Kirk & Marsha Vogel. 2016 End of Year Donations to FOMA: We are very pleased to report that we received eight end-of-year donations totaling $2,835 from very generous supporters, including our first sustaining donor, Tina Castanares. In addition to Tina, I must mention Larry Church who contributed a whopping $2,000, and Kirk & Marsha Vogel (Vogel Foundation), with a donation of $500. Repeated donations were received from M.A. Leonard, Hugh & Linda McMahan, Tom & Sandi Rousseau, and Kathy Keller-Jones, First time donors include: Charles Moore and Mary Ellen Kris. 2015: Ken Maddox, M.A. Leonard, Julie Larson & David Berger, Marsha & Kirk Vogel, Todd & Krissy Biernacki, Hugh & Linda McMahan, Tom & Sandi Rousseau. In Memory of Henry Clay (“HC”) Tupper: Marilyn Turner, Janice Morgan, Janis Beeson & Lee Norwitz, and Edward Bondurant (incl. a matching gift from his employer, Bank of America/Merrill-Lynch). 2014: Leslie Labbe, Loretta Sharpe, Mt. Adams Ranger District (U.S.Forest Service), Bill Weiler, Don & Judy Thomas, M.A. Leonard, David Berger & Julie Larson, and Julie Marr. 2013: Linda Oram, Don Lichtenwald, Tom and Sandi Rousseau, Ken and Linda Maddox, and Ray Moulton. The organization’s mission is to understand, protect, and celebrate Mount Adams and its surrounding ecosystems through education, research, stewardship, advocacy, and public events. We strive to assist the land managers in preserving the quality of recreational experiences for all user groups, including preventing user conflict and damage. We work closely with the Forest Service and Yakama Nation, monitoring the mountain’s resource conditions and volunteering occasionally for stewardship projects. FOMA members are involved with projects of the Mt. Adams District Collaborative Group, Cascade Carnivores Project, the Gifford Pinchot Task Force, the Friends of White Salmon River, and other groups. We take legal action when required. Please check our “Issues“ section for the latest developments with the Mt. Adams Grazing Allotment.